In November 2015, coaches from the English Premier League travelled to Azraq Refugee Camp in Jordan to train thirty-six people from several humanitarian agencies, as well as a number of Syrian refugee volunteers, in how to coach football. The coaches are now using what they learnt on a regular basis to teach Syrian children football skills. Playing sport in the camp gives children the opportunity to stay active, have fun and make friends. 26-year old Raja is from Dar’a, Syria. She has a 2-year old daughter and a 3-year old son and has lived in Azraq refugee camp for two years. She has been a football coach in the camp for about two months and shares her thoughts on girls given the opportunity to play football. I find it extremely beautiful that the girls are given a chance to play football! I used to enjoy playing football back in Syria. I liked football more than any other game as a girl. Here I enjoy teaching the girls. I feel like they are my children. The girls come and play and release their energy. Some girls come to the multi-purpose sports pitch feeling sad and release their energy and feel better. The girls talk to me about their problems, they open up to me. I sometimes cry with them. I will talk to parents who don’t want their girls to play and explain the importance of playing. I tell them that people and strangers can’t see into the girls’ pitch and sometimes after I talk to them they send their girls to play football. Many families in the camp are very conservative so it’s important for them that the girls have privacy when they play. World Vision is currently constructing a kindergarten at the Azraq Refugee Camp in Jordan. It will open in late September. Khalida has worked as a driver at World Vision Jordan for two years. She is the only female driver. Khalida is very expressive, friendly and quick to smile. Here the 50-year old shares her excitement for the role. Being the only female driver is a unique experience. When I drive World Vision staff to other NGO offices, the staff at other NGOs can’t believe that I’m a female and a driver – once I got chocolates and coffee because of it! They are surprised that I drive everywhere in Jordan – the camps, Zarqa, Irbid everywhere. I feel very happy and proud to work in this field. Before this job I was a driving instructor for 20 years. Women are willing to do lots of things. They just need the space. It was rare to have female driving instructors and when I started, my friends and family didn’t like the idea of me being a driving instructor. While I was an instructor I stopped learning new things after a while. I wanted to keep learning though. When I drive World Vision staff to the camps to do their work, I’m happy that I’m contributing to helping refugees. Before I worked at World Vision, I wanted to work for a humanitarian organisation – If I’m contributing to helping people it makes me happy. When I was a driving instructor I put my children through university so they could learn, now in my job at World Vision I am learning. Driving gives me a sense of freedom. The people in my car are my responsibility, I like to be professional and I like taking care of them. In the future I’d like to do work where I am working with refugees directly. World Vision runs child friendly spaces (CFS) for Syrian children in Lebanon’s Bekaa Valley. The spaces provide the opportunity for children to play, learn and spend time with other children. Psychosocial support activities help children process their feelings. When asking Amira about the reason she works in a CFS, the simple answer that you expect is a typical, “because I love my work”. What one doesn’t know is that Amira finished law school, and had many opportunities to work as a lawyer but she chose to work with World Vision instead. Every morning Amira wakes up with high hopes about the day to come. Her challenge is to make a change in children’s lives especially the children who attend the CFS. “This is my motivation, this is what keeps me going.” Amira adds. World Vision works in cycles when it comes to the CFS. Every cycle is for a duration of 3 months. Amira can’t help but talk about how unpleasant is to be attached to children for 3 months and then not see them ever again. “They become part of a bigger family”, Amira tearfully says. Even the children’s families come begging Amira and the team to keep their children for another cycle due to the significant progress they showed! During the the interview Amira explains how beautiful her childhood was and what she tries to do is to ease the childhood of these refugees a little because she believes that every child should live their childhood to the fullest! The path to Aisha’s tent is filled with lots of mud and small rocks. The uneven ground is littered with old unused stuff, like chairs and broken appliances. Between tents, round white structured latrines and water tanks can be seen. “Two months ago, we did not have all this,” says Aisha, 34-year-old Syrian refugee woman. “[The] children used to pee outside the tent, in a hole in the ground, and get their bodies dirty. 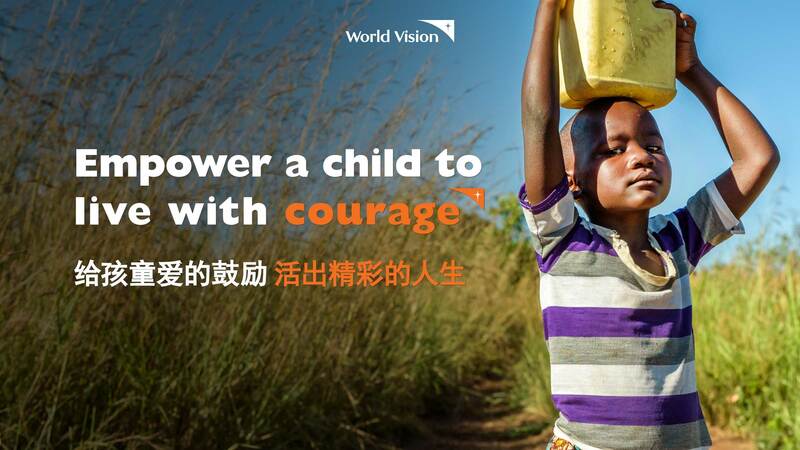 Today, we have a latrine installed by World Vision and actually it is great,” she adds. As part of the Water, Sanitation and Health (WASH) project in the Bekaa valley, funded by the European Commission for Humanitarian Aid (ECHO), World Vision installed latrines around Syrian refugee tents as part of informal tented settlements. When the minimum standards for humanitarian assistance were set in 1997, it was established that there should be at least one toilet installed for every 25 persons. Yet, to have a better impact on Syrian refugees, World Vision installed one latrine for every 15 people. The organization also installed water tanks around the settlement allowing Syrian refugees to access clean portable water (the 1,000 litre tanks are filled by World Vision every 10 days) and greywater (filled as needed). “We have everything we need [in terms of water and hygiene] now. It is definitely much better than before,” says Khalluf, Aisha’s 16-year-old son. “Water is reaching our tent through hoses [now]. Before World Vision, we used to fill water in buckets to get washed or clean our tents or throw it in the hole that contains our sewage,” he adds. The potable water World Vision uses to fill the tanks is tested in specialized laboratories to make sure it has a healthy composition. As a secondary precaution, however, World Vision also distributed two water filters for each household. “World Vision’s duty is to ensure the right environment for Syrian refugees, even though they live in tented settlements. These tents are the refugees’ homes now and through the WASH project we wanted to make it [as] comfortable [as possible],” says Simon Tawk, World Vision’s WASH project manager. As part of the WASH project, World Vision dug a big hole in the ground, and installed a 200 litre hidden septic tank, connected to the latrines, to contain the sewage water. These tanks are emptied by specialized trucks monthly. The refugees pay the truck drivers to empty the septic tanks with vouchers distributed by World Vision. Khalluf lives in the tent with his mother, Aisha, his father, Abdel Wahab, and his seven siblings. He’s the eldest child. Eight months ago, the family fled the war in Aleppo and found refuge in the Bekaa, where other relatives resorted before them. “We can flush the toilet and we are doing well, much better than before. There is nothing like home, but our situation is better now,” says Khalluf. World Vision raises refugees’ awareness on the importance of proper hygiene through information sessions given by health promoters in settlements, as part of the WASH project. The WASH project in Zahle area in Bekaa reached 1,000 Syrian households thanks to World Vision and ECHO. So far, World Vision’s WASH project in Lebanon has benefited 24,500 Syrian refugees. Please help meet the urgent needs of the Syrian refugees such as Aisha, Khalluf and Ibrahim today. To make a donation, go to www.worldvision.com.my > Donate Now > key in “Syria Crisis Response” at to rush emergency aid to. Thank you.